I like the skeptical babies. I respect their, “Prove yourself” swag. But I would totes be the giggly baby rofl-ing over the pretty man’s squinty face. 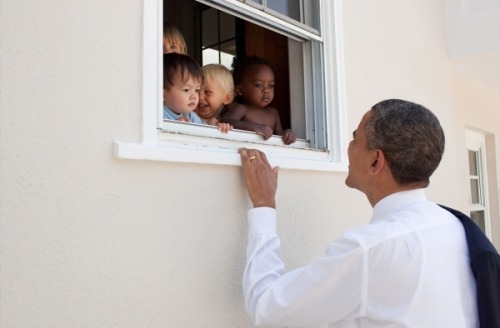 The little black girl’s facial expression is made of win & awesome. She is channeling somebody’s grandma right now.